I have been thinking a lot about mortality recently. Last month, we visited the port of Kure (pronounced Kuh. 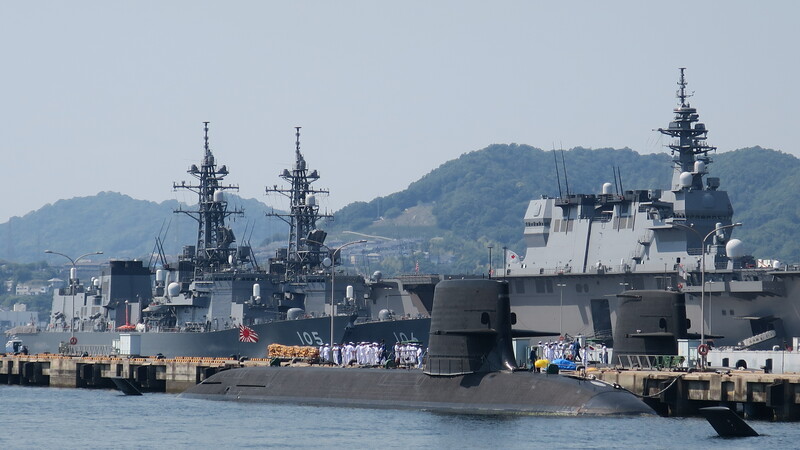 reh), near Hiroshima, home to a museum dedicated to the WW2 battleship Yamato, the biggest battleship ever built. The museum is full of wonderful scale models of ships and aircraft, including a giant 1/10th scale model of the Yamato. 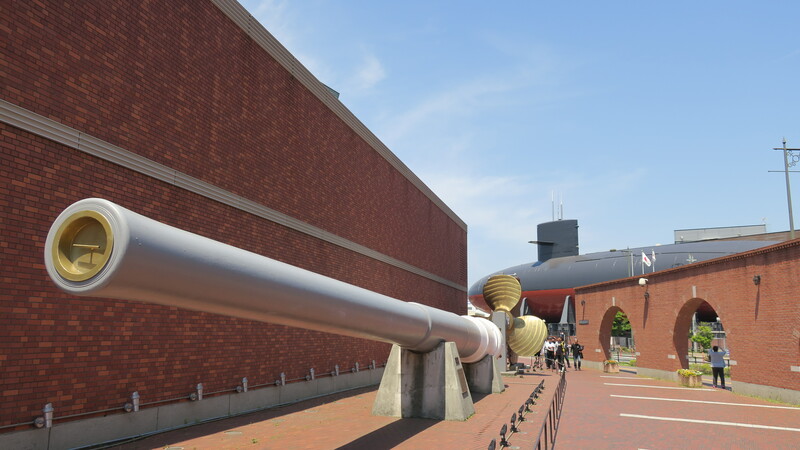 It tells the story of Kure, the home of modern Japanese shipbuilding, and its people and the building and sinking of the Yamato, with artefacts, photos and archive footage. Normally I would have taken masses of photographs but, in the end, only took one. Very shortly after entering the museum I started to find the atmosphere oppressive. The thought of the thousands of young lives lost in the Yamato’s final, futile suicide mission and the sheer waste of human endeavour that went into building such a magnificent machine prevented me from fully enjoying the experience, or even properly taking in what I was seeing. Before and after our visit to Kure, there were three horrible terrorist incidents in England, two of them in areas of my home town, London, that I know very well. In all three, the terrorists were unconcerned with their own mortality, their only aim being to cause the maximum amount of death, injury and misery to strangers of whose lives and loves they were completely ignorant. And in the middle of all that, I watched HyperNormalisation, a film by Adam Curtis that includes the story behind modern suicide warfare, starting in the Lebanon and with the massed ranks of young Iranian men and boys used to clear minefields in the Iran-Iraq war. It seems that every society goes through a time when little value is placed on the mortality of its citizens relative to the needs of its ruling classes. The West has had its own versions of this, as recently as the human waves of soldiers going “over the top” in WW1 in the face of murderous machine gun fire, all for the sake of a few hundred yards of Belgian mud. Even the tactics used on D-Day on the beaches in Normandy would be unthinkable for a Western army now, although our politicians are still capable of committing young men and women to unwinnable wars in far-away places that will also, inevitably, lead to the slaughter of local civilians. But back at home in the West, and in Japan too, each individual human life is treated as being much more precious. I can only hope that “developing” countries will catch up even faster than we did and that the world will become a much happier place than it is now, where everybody’s right to a peaceful existence is respected. The sanctity of each human life in the developed world has become so important that many people are beginning to feel oppressed by health and safety legislation and warnings about unsafe or unhealthy habits and activities. 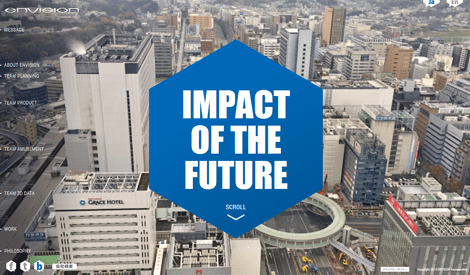 This is also affecting design and the visual environment. I can’t help wondering how much happier we really are, now that almost everyone working outdoors is “protected” by an ugly “high-vis” fluorescent jacket, so that it is hard to tell the difference between a policeman and someone digging a hole in the road. Not to mention the visual clutter of barriers and warning signs that accompanies any building or roadworks activity. Every modern mass-produced item must pass rigorous safety checks and the design of cars especially is influenced more and more by the need for passenger and pedestrian safety. This will reach its zenith when driverless transport becomes commonplace and will virtually eliminate collisions on the roads. However, there will always be people for whom safety and security spell boredom. At the same time as our roads, skies and everything else around us becomes safer and more predictable, and most motor sports have reduced fatalities to the point of being almost negligible, thrill sports are being invented one after another and their participants are pushing the limits of what is achievable further and further. Red Bull has turned this into a major industry as a means of selling repulsively sweet caffeinated soda water. 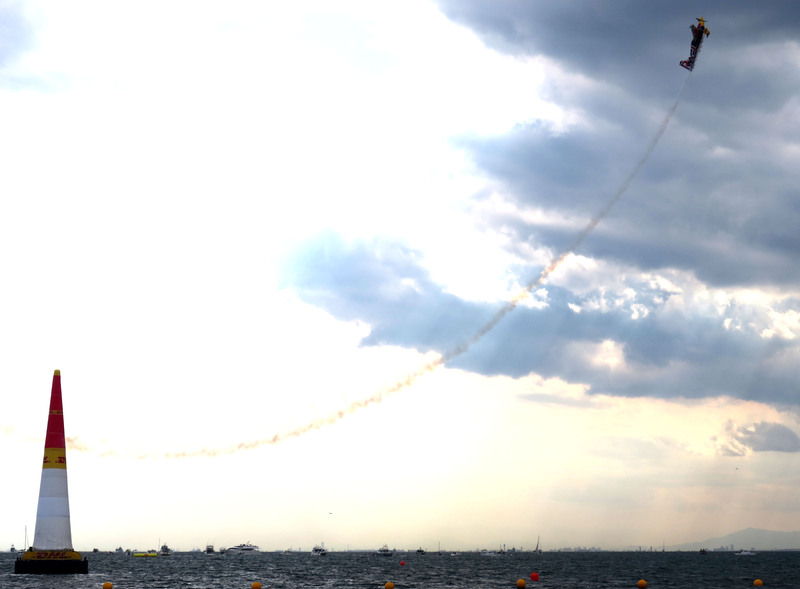 Last weekend we attended the Red Bull Air Race in Chiba, east of Tokyo. The air race itself is a thrilling event and the fast, powerful planes and their pilots perform amazing feats of manoeuvrability navigating the course at high speed. In its 14-year history the series has had only one serious crash and no fatalities or serious injuries, a testament to the organizers’ focus on safety and constant development of the equipment and format. The really dangerous stuff was going on out of sight of the air race, a demonstration of Freestyle Motocross (FMX) in the park behind the beach. For a start, the landing ramp had a huge picture and dedication to Eigo Sato, one of the pioneers of FMX in Japan and apparently a mentor to many of the riders taking part. He was killed in 2013, practicing a 360° backflip for a Red Bull event in Mexico. 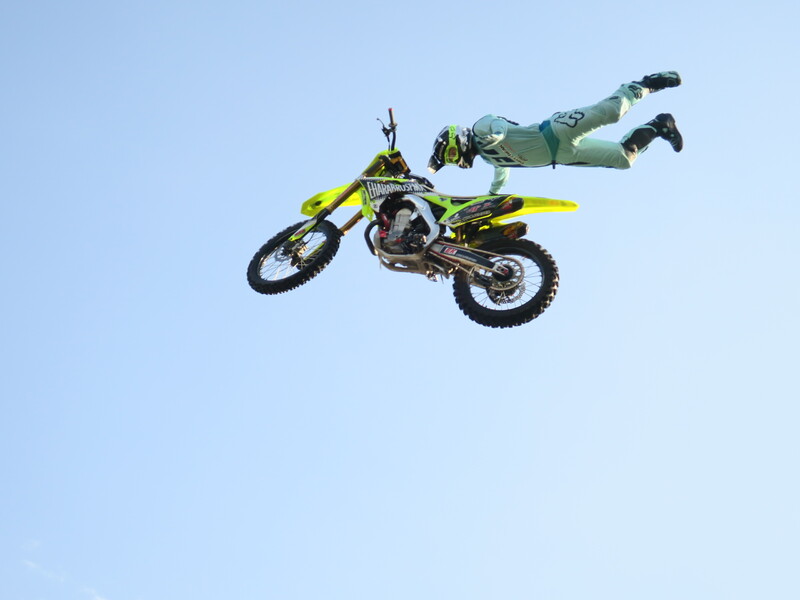 At the event in Chiba, backflips were de rigeur, the riders pulling them off in chains one after the other. Other tricks had them standing on the handlebars in mid-air or flying separately from their bikes, impossible to imagine for someone like me whose bicycling skills are flaky, to say the least. My heart was in my mouth every time they disappeared behind the landing ramp just before touch-down. They are risking their lives the moment they head for the take-off ramp, but their lives would probably feel meaningless if they were banned from taking part. The same goes for TT riders on the Isle of Man. The news today was that a second rider had been killed in this year’s races, 28-year-old Jochem van den Hoek from Holland. Is that a waste of a life? If you were to ask the other racers who will going out to risk their necks again today, and who will have been saddened and even shocked by his death, probably not, although his mother might give you a different answer. I found out about Jochem’s crash on Jalopnik, where some of the comments have a typically modern reaction of “why is the TT still allowed” but, when you see this video posted by another commenter, it is easier to understand why everyday life probably doesn’t measure up for some people. I am not going to be doing 360° backflips or race at 200mph down narrow roads lined with lamp posts and stone walls anytime soon, but when I start driving my 3-wheeler on regular roads I will be putting myself in a lot more danger than I am driving our minivan. I will feel much more alive though, be a lot more aware of road conditions and the environment and not speeding around in two tons of metal, plastic and glass, so other road users will be safer from me. I am lucky to be living in a country and day and age where I still have that choice but where my mortality is not easily or lightly put at risk by people in power.